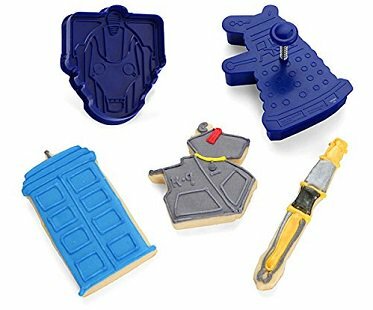 Exterminate your way through a pile of treats made from these Doctor Who cookie cutters! 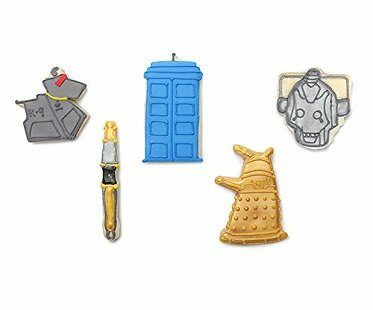 This set of 5 different shapes includes the Tardis, K-9, a Sonic Screwdriver, Cyberman and of course, a Dalek. 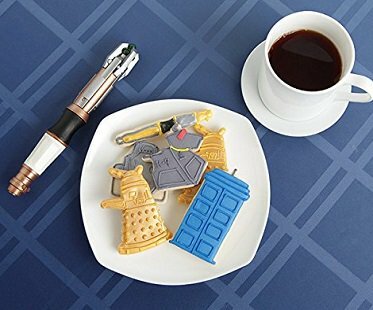 Once baked, you can get creative with icing designs.